Gina: So, my dad has a farm. He grows a ton of seasonal fruits and veggies and anytime I visit him I return home with bags bursting with winter kale, summer blackberries, and even the occasional pumpkin. It’s the best. However, the plastic bags he packs it in are kind of the worst. But don’t fret, Mother Earth – Spoonflower’s Organic Sweet Pea Gauze is here to save us all from the army of plastic grocery bags trying to take over our pantries, closets and under-the-sink cabinets. 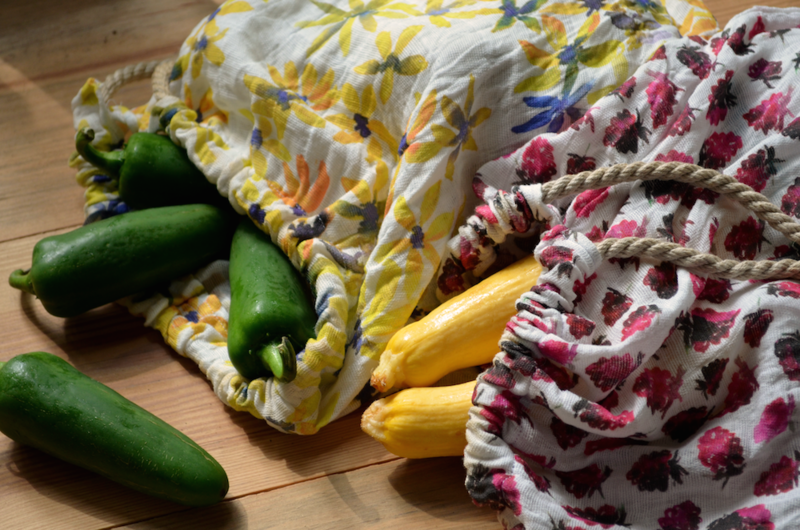 It’s the perfect fabric for making breathable, washable, adorable, and most importantly, reusable produce bags that are easy to toss in your car or tote for your next trip to the market. Bonus: this project is super simple. Quick and easy project + less plastic = happier planet. Everybody wins. Grab some gauze, and let’s get sewing! Dinosaur lamp not necessary but highly recommended. 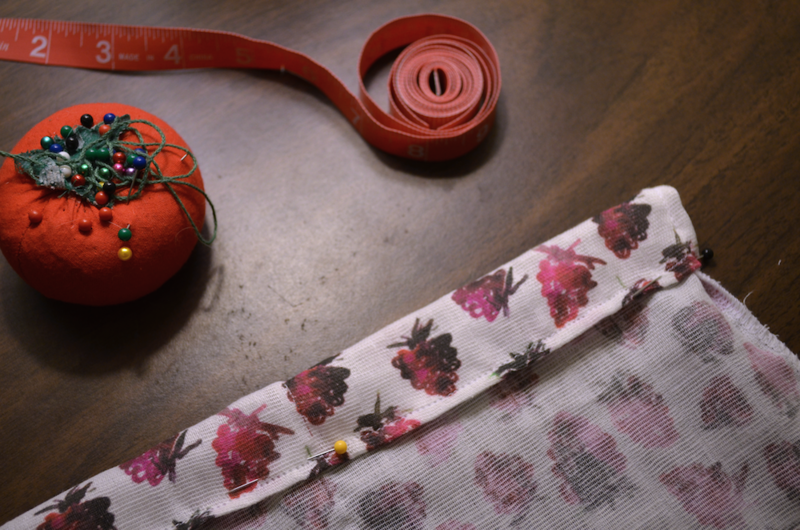 Serge or zig-zag stitch the edges of your fat quarter to finish the edges. 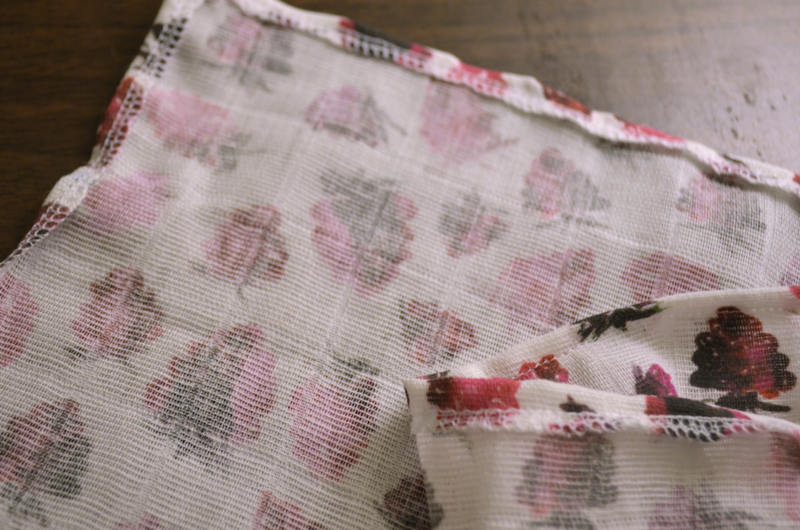 A note on pre-washing: Organic Sweet Pea Gauze crinkles in the wash, and generally, washing your gauze after hemming is recommended to account for any shrinkage that occurs. Because exact sizing isn’t super important for this project and a little post-wash shrinkage is okay, I prefer to sew my bags flat and wash them afterward. Learn even more about how to care for your gauze here. Place your fat quarter in front of you so that the wrong side is facing up, and the longest edges are facing you. On both of the shorter edges, measure and make a mark 3″ from the top edge. 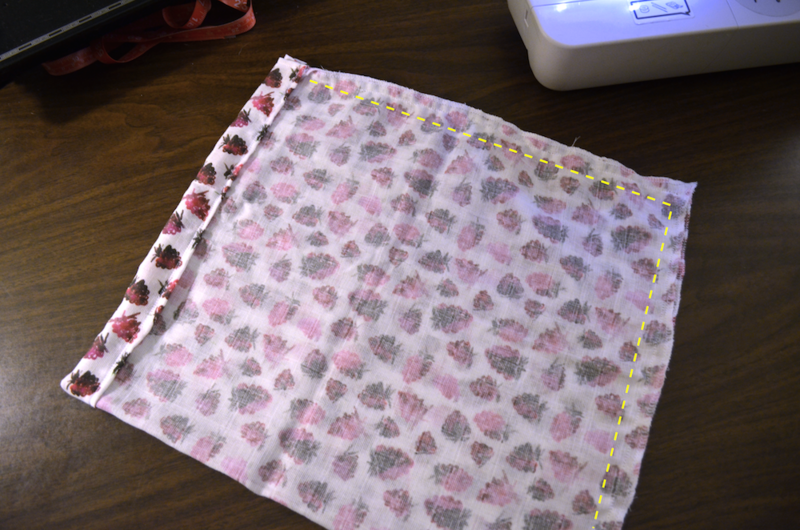 Next, you’re going to hem the 3″ area you just marked on your short edges so you don’t have any exposed serger threads once your bag is finished. Fold ¼” of the 3″ marked side edge inward. Pin and sew in place. Repeat for the left edge. From the top edge of your fat quarter, fold a ¼” inward. Pin and sew in place. 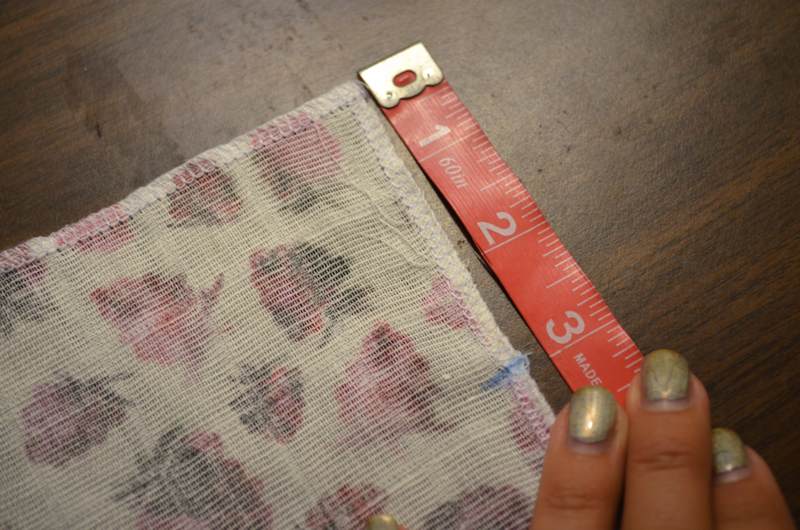 Next, fold the top hemmed edge down so it’s in line with your 3″ marks. 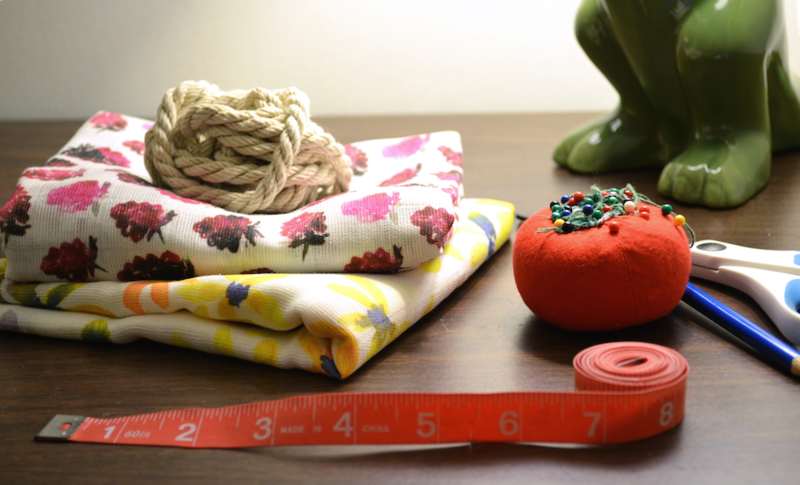 Pin and sew in place to create a 1½” casing for your drawstring. Fold your fat quarter in half widthwise, right sides facing. Pin in place, being careful to line up the edges of the casing. 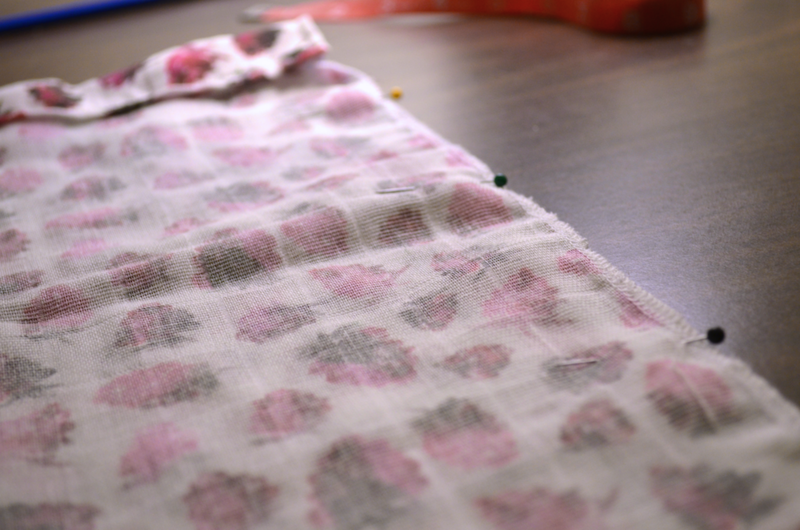 Sew the bottom and side edges together with a ¼” seam, stopping at the edge of your casing. Turn rightside out, and voilá, you have a bag! Stitch along the lines indicated. PS – The best thing about crinkly produce bags is no one can tell if your cut lines aren’t straight. 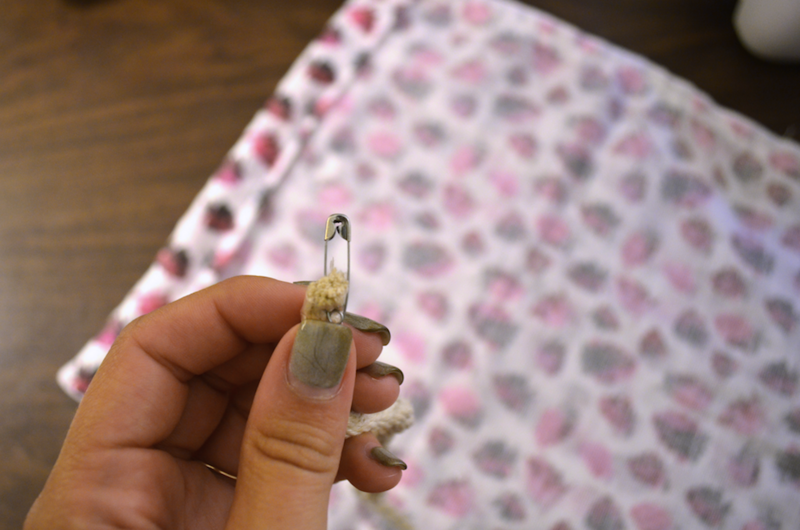 Attach a safety pin to one end of your drawstring material and feed it through your casing. 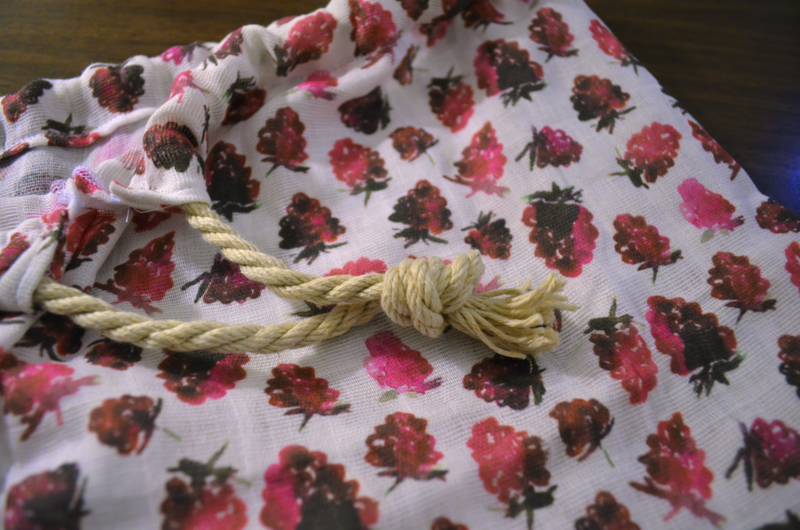 Knot or fold and stitch the ends of your ties – I prefer to knot them together so I can hang my bags up. That’s it! 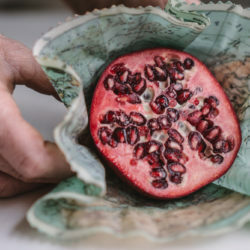 My favorite thing about these bags – aside from being the easiest DIY ever – is that you can take them straight from the market (or farm, in my case) to your fridge or pantry. They’ll keep your food dry and safe, and they can be thrown in the wash once they’re empty. 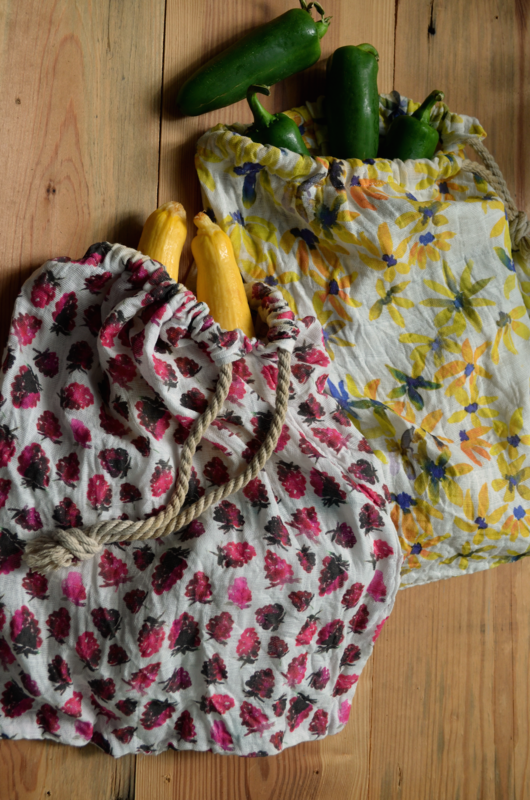 If gauze isn’t your thing or you’d like something sturdy for some heartier veggies, give Linen Cotton Canvas or Lightweight Cotton Twill a try. 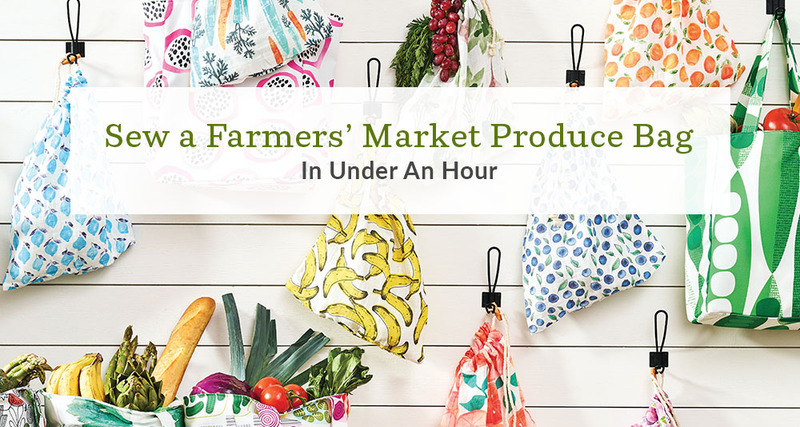 Be sure to snap a pic of your new produce bags on your next trip to the farmers’ market and #spoonflower! So a fat quarter is 22×18 how am I to get 28×18 from a fat quarter or 4 of these from a yard? Great question! 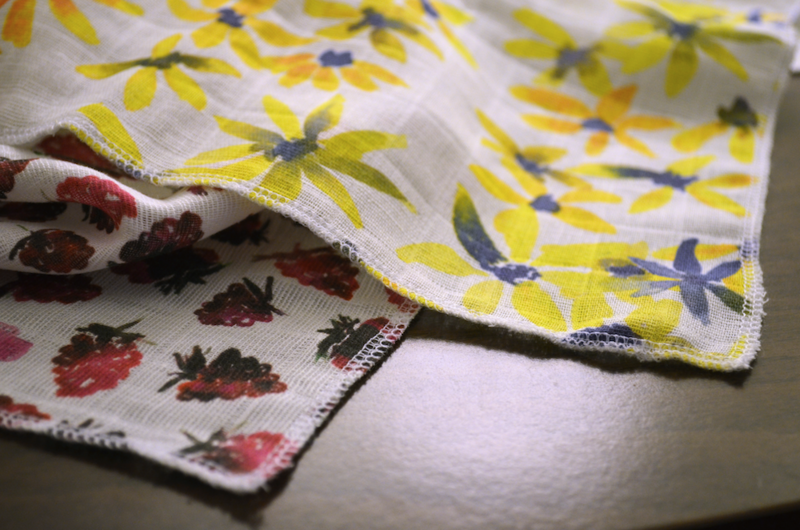 A yard of Organic Sweet Pea Gauze is 56″ wide which means a fat quarter of this fabric would be 28 x 18″. If you have any other questions, please let us know! The gauze mentioned is 56 ” wide. These would also make great bags for swim suits n towels. That’s a great idea! It would definitely make a “splash” at the pool! Greta looking bag but I would like to make one with handes. Could you show a pattern for that. You’re in luck! Stay tuned for a tutorial for a tote bag with handles next week. 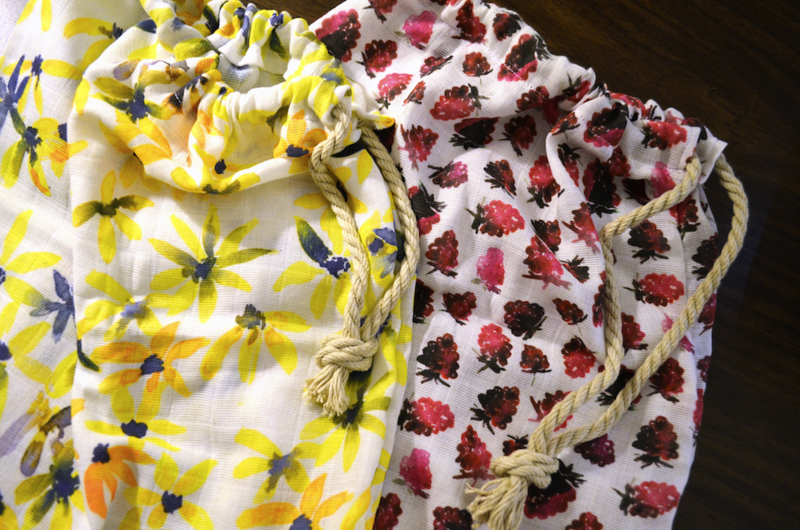 In the meantime, you may find this beach tote tutorial helpful. 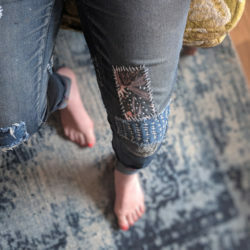 I had the same question as initially, all the fabrics I looked at were 42″ wide and it seemed impossible to make four 18×28″ rectangles from a yard of fabric. Yes, I found some fabrics that are 56″ wide but you make it really hard to find them as they are scattered among the 42″ wide fabrics. If you really wanted to help your customers, you would put all the fabrics of 42″ wide in one section and all the fabrics 56″ wide in another section. Who actually has time to click on every single fabric you offer to find the 56″ wide fabrics??? This part of your web site is NOT user friendly. Today I am leaving the web site purchasing nothing as I am too frustrated to click on a zillion fabric samples to see how big they are. I will come back in a few weeks to check but without the delineation , you have lost a this customer. Your bag directions in your magazine calls for a wooden toggle button…you don’t mention how to put that on in your tutorial. Can you tell me how? I would like the toggle button instead of just a knot. Thanks! Unfortunately this tutorial does not include directions for adding a toggle button and we’re sorry to disappoint. We recommend following the manufacturer’s instructions on the toggle packaging. I Love this idea and I’d like to make some to use at the grocery store instead of plastic. I’m trying to figure out how to make the bag so that the tag could still be seen but not use any plastic. My only thought is to run a strip of clear vinyl (plastic :-I) down the long side of the bag, then just place food in the bag with the tag showing through that. Do you have any other ideas? 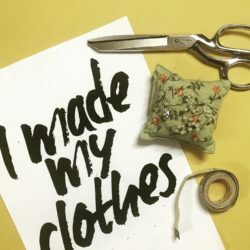 Is anybody making these who is wanting to supply a shop? If so ! I would love to chat about it with you.